Could ease the pain, calm the anger. He could see into my soul, know my feelings. He could feel it too. Desires expressed, but not met. Each day is just lived. Charm has worn off, influence faded. Grow and strengthen each day. For the fire that once was. This picture looks like a good place to think, contemplate, ponder the questions of life. Maybe with age comes more thought. In a few days I will be 36. It seems that hump over 35 makes me more alert that 40 really is just right around the corner. Holy Crap, how did I get to be almost 40 years old? I have always felt, acted and looked so much younger than my true biological age. Hardly anyone would ever believe I was the age I am. But these last… maybe two years, I would say that age has slowly started to catch up with me. I am feeling older, which I believe in turn makes me act older, leading to looking older. But when it comes to birthdays, no matter your age, I have always thought it important to celebrate birthdays. To celebrate your life. To make this day stand out apart from all others and make it special and memorable. And even better to have someone in your life who understands that and goes out of their way to put towards the thought and effort to make this day special, and not ordinary. I think it is probably pretty normal to start to take a deeper look at your life. Are you where you thought you would be? Are you where you want to be? Are you working toward being the best you that you can be? Are you surrounding yourself with the people who bring out the best in you? Are you making a positive impact towards humanity and this universe? What more do you want out of life? 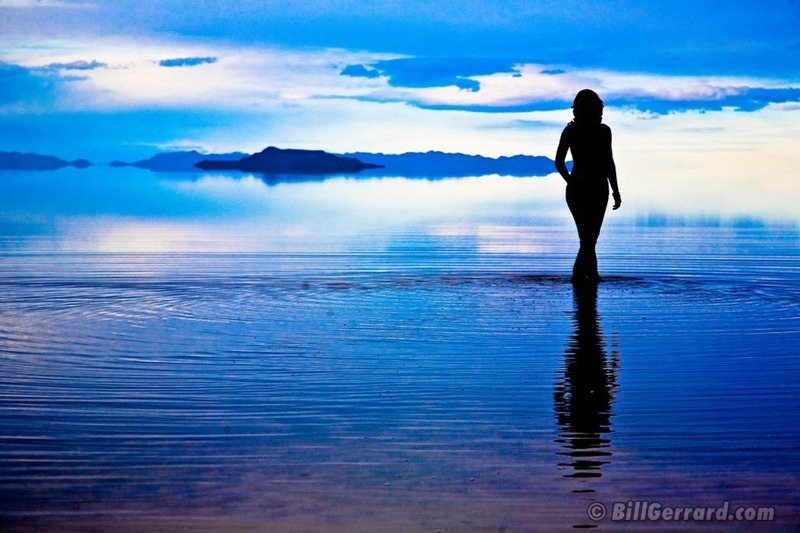 Are you getting all that you need and want, feeling fulfilled? If not, what do you need to do to change that? Is it something that you can change in your current circumstances? If not, will you be content to live life the way things are, without the changes that you are seeking? Or do you need to change your life circumstances in order to receive that fulfillment. It is easy to look toward someone else to help fulfill those desires, needs and wants. But what if they are no longer able to, or choose not to? You can’t change anyone else. What they choose to do or not to do is only within them, and out of your control, no matter how hard you try. So in turn, you can only control your self. So what does that mean? No matter how hard you try to amend your situation and circumstances to help yourself feel more fulfilled and satisfied with life, if you are relying on someone else for some part of that… you are out of luck? What else is there to think? What else is there to do? 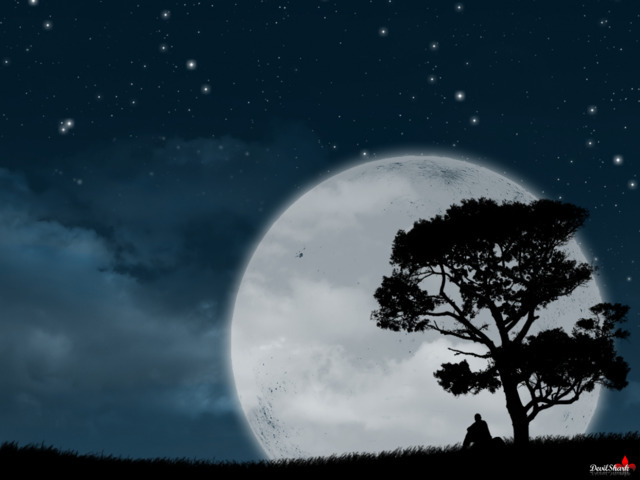 I am not satisfied with that answer, yet no matter what I try or what other questions I ask myself, that is the only thing I can seem to come up with. What do you do… when something is missing? Something that you used to have, something that made you so happy, excited, fulfilled and connected. Then for some reason, seemingly unknown, it fades away. Sometimes it comes back here and there, but never stays as long as you would hope for it to. When you can’t figure out, no matter how hard you try, why it went away and why it won’t just stay… like it used to. When you ask for it to come back, when you specifically voice that is what you want, what you need… but you are still left searching. What do you do? When I was a little girl, I used to love everything about the circus. The lights, the trapeze, the loins and tigers, the snacks, the clowns, and especially the elephants. I have been in love with elephants for as long as I can remember. The giant gentle souls. I was always excited when the circus would come to town. Until… I learned of the horrors that goes on behind closed doors. I am afraid that there are so many other people out there in the same position, parents, children, anyone…. who is in awe by the circus and the entertainment that it provides to the public – at a hefty price to the animals involved. If you do not know what goes on, the inhumane treatment and neglect that these animals endure, then you go on thinking the circus is a happy place. My goal with this writing today is to help spread some education and show you guys reasons why NOT to take your children to the circus. Why NOT to buy those tickets for an evening of entertainment. Baby elephants, so young that they should still be nursing, are ripped away from their mothers, screaming and crying. This is just one picture of the many photos showing how Ringling Brothers tie down baby elephants by all four legs. They are threatened with bullhooks and shocked with electric prods in order to break their spirits and force them to learn those unnatural tricks. These violent training sessions last four or more hours a day and continue for up to a year… until they give up all hope and submit. Needless to say, the abuse doesn’t stop there, they live their lives in fear of the bullhook. The bullhook is a sharp hook at the end of a wooden handle that is used to inflict pain and fear in elephants. 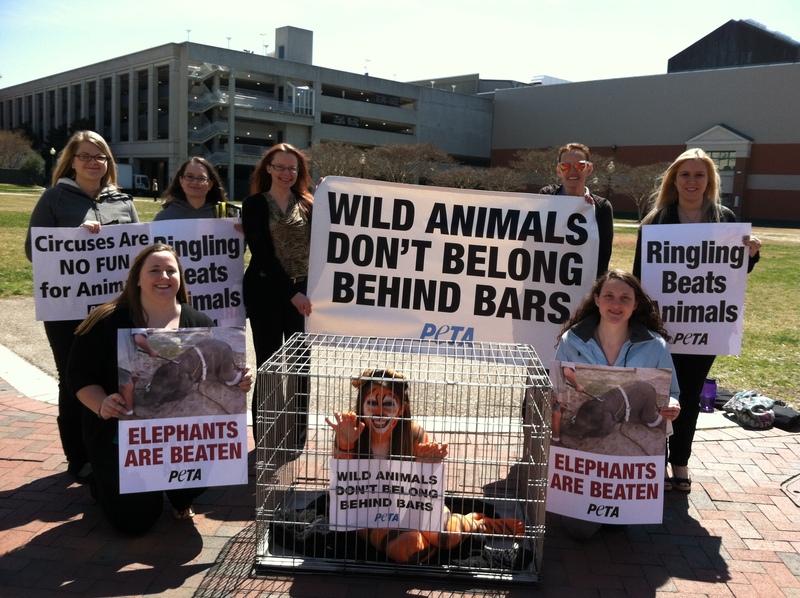 Ringling Brothers has paid the USDA $270,000 for animal welfare violations!! Over $270,000… which is the largest fine ever paid by an animal exhibitor. How can something that cruel and wrong be “fun for the whole family”? Tomorrow marks the opening night of the circus in Norfolk. If you are planning on going this weekend, or any time in the future, please take a look at these websites and the photos. Then tell me if you still want to go after learning the truth of what goes on behind closed doors. I have to say, I am really proud of myself. Growing up I was always very shy, introverted and timid. I still carry some of those qualities over into my adult life, but that is something that i battle with on a daily basis pretty much. Often times i have to physically and mentally talk myself into things, give myself a pep talk, and coerce myself into things. I was always afraid to go anywhere alone, or to do something by myself. If there was something i wanted to do, but no one would do it with me, then i would just not do it. I had to have a friend someone with me. This didn’t change for me until well into my adult years, after getting married. For the longest time, i HAD someone to do everything with, and it didn’t matter. There was no real reason for me to change. Then came the time when i started to grow into myself and acquire new interests and desires. Once i started to broaden my horizons and step outside of the box, creating interests in things a little “less normal” than the ordinary, it was harder to find someone to participate in those things with. So i had to teach myself to do those things on my own, and i loved it. It was definitely stepping outside of my box of comfort but so much worth it. It helped me to grow my independence as well as to increase my knowledge and awareness other things. I started by going to the local Buddhist meditation meetings alone, which lead into this great love i have for all things Buddhism and a very big part of the way i live my life. Then i started going to yoga classes along, which lead into me becoming a yoga teacher. After that i started going to local rock shows along, which lead to me acknowledging the immense love i have for music… and lending a hand in me meeting my favorite musician of all! So as you see, many great things have come out of me winning that fight with myself! Still to this day, i enjoy doing things alone. Before, i would have never dreamed of going out to dinner, or to a movie alone, and now those are things i have no problem at all doing… and quite enjoy it sometimes. But… there are still those things that make me nervous and feel anxiety about doing alone. Especially something new, or something where i do not know what to expect. Some of those times it is easier to just not do it, than to deal with the anxiety of it. However, with this being something that i still battle with daily… it is something i make myself do. Knowing i will thank myself for it after. One example from this week, that made me extremely proud of myself and extremely happy about my decision just do it. 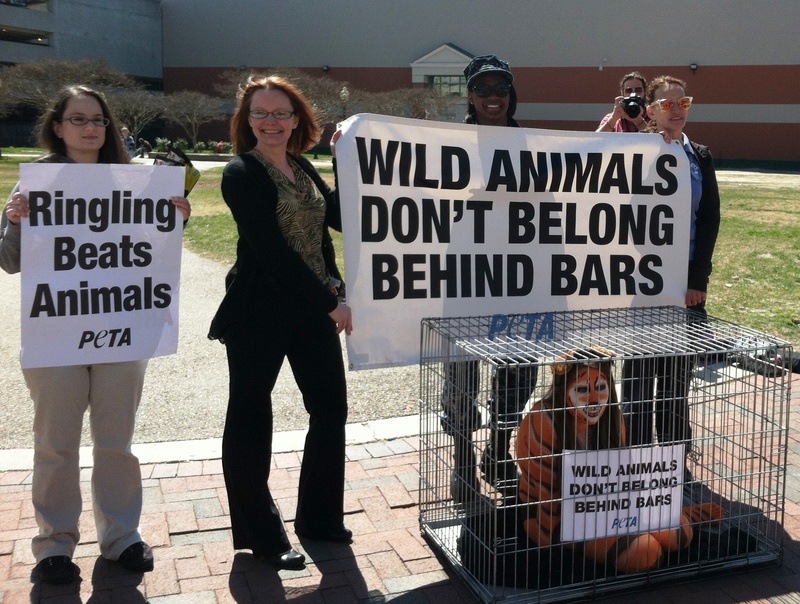 Tuesday PETA was holding a demonstration to bring awareness of the cruelty of the circus, pre opening day. It was scheduled for 12:00pm. I asked my boss if he cared if i took a long lunch and went to participate. I had hoped that others from the office would go as well and we could car pool. With me still not being very familiar with the downtown Norfolk area and driving around, i really didn’t want to have to drive. So when time came, and i missed out on the office transportation, and no one else from the office was going, i contemplated just staying at work and getting caught up… but i really really wanted to go. I had this internal dialog with myself for about ten minutes before i finally stood up and decided to go. Step One. Jumped in my car… alone… and headed downtown, which is just right around the corner from my office. I found the intersection where the demo was being held. Now to find a parking spot. Oops… i realized that i didn’t have any cash at all for the parking garage, and no change in my car or my purse to feed the meter…. what now? Well on to step two. I saw my co workers at the intersection and wanted so bad to be there with them, to have that experience, to try something new i had never done before. But i once again had that argument with myself. I should just go back to the office. I don’t have any money for parking, i can’t find a parking spot, i am running out of gas, i should be catching up on my work instead. I pulled into a spot a few blocks away, then pulled back out because i didn’t have any change. My internal dialog was winning and i didn’t like that. Then while waiting at a red light at the EXACT intersection of the protest someone pulled out of a spot, right there. Once the light turned green i quickly pulled into the spot, even having to do a bit of a parallel park job to fit. I said to myself – you know what, i don’t care if i have any change to park or not, i am here and i want to do this, so I AM GOING TO DO IT! Because i had that fight with myself, and won, i had the opportunity to participate in a pretty amazing event. I did end up getting a $15 parking ticket, but it was so worth it. I not only got to do something worthwhile, something to spread knowledge about the cruelty of the circus, something i am extremely passionate about… but i also, once again, conquered myself! Look at that smile on my face! True, genuine, and right where i am suppose to be. Thanks to all of you amazing ladies for making this a successful afternoon for the animals, and for myself. Well – the bad news is…. It has been over a year since I last published anything in my blog. The even worse news is that I no longer have access to it to start writing again. So… I have had to create a new blog, and start all over. This makes me sad. I had a lot of good writings in there. Here is a link to my previous blog, so we all can still have access to my older things. And all of my new stuff will be in here, in this new blog site, from now on.